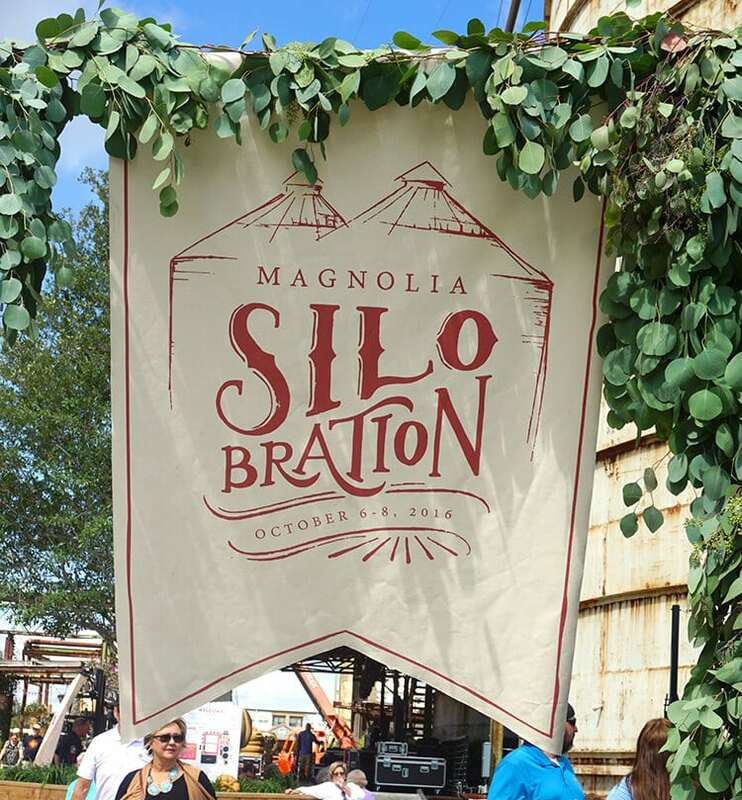 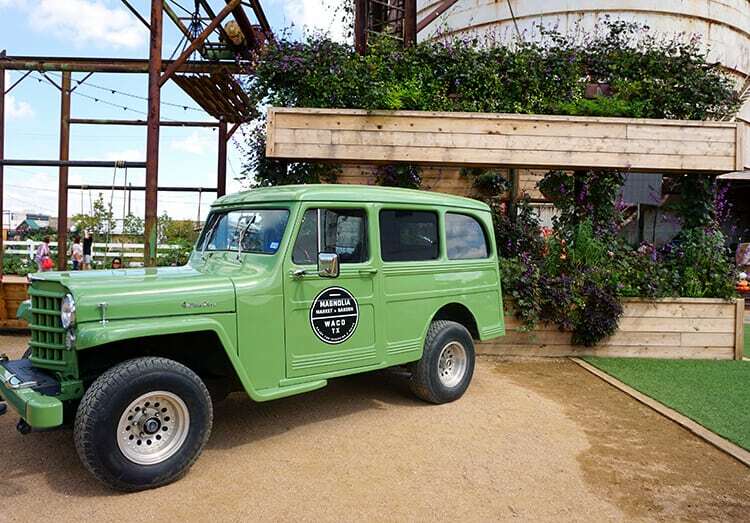 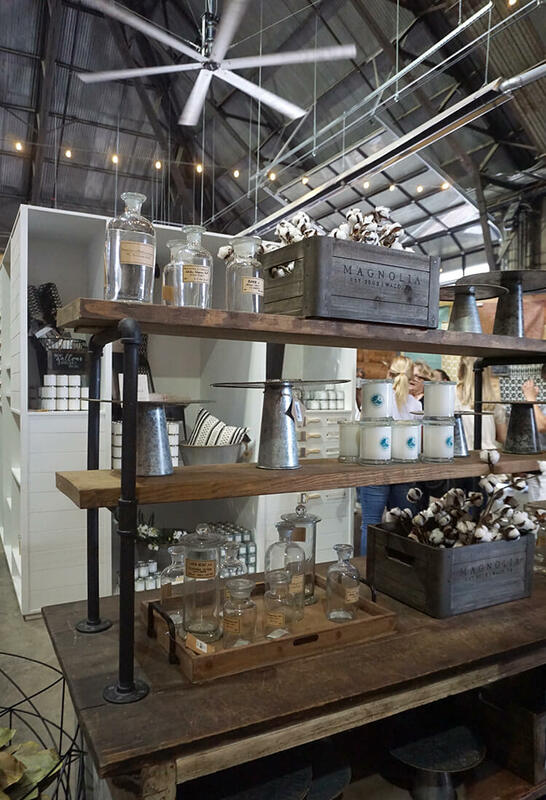 We visited The Silos at Magnolia Market (owned by Chip and Joanna Gaines of HGTV’s Fixer Upper) for Silobration, a weekend full of family fun in Waco, Texas that includes live music concerts, food trucks, a vendor fair, lawn games, yummy baked treats, shopping, and lots more! 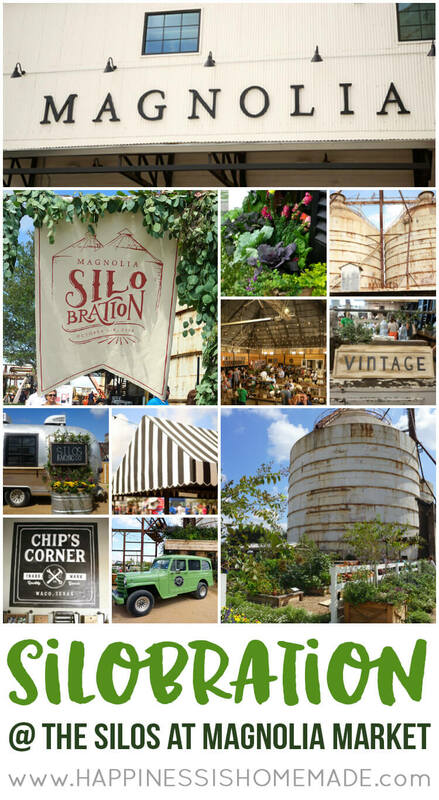 Last week I took a quick business trip to Texas which included a road trip from Dallas to Austin. 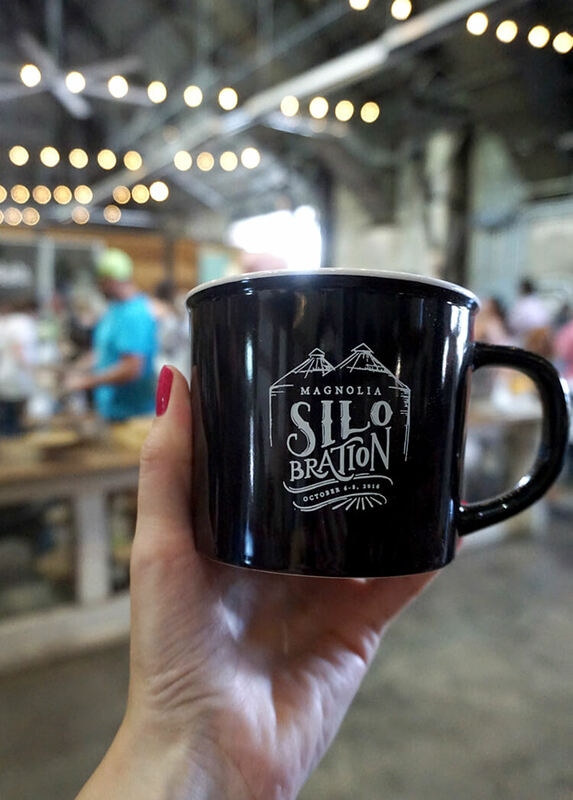 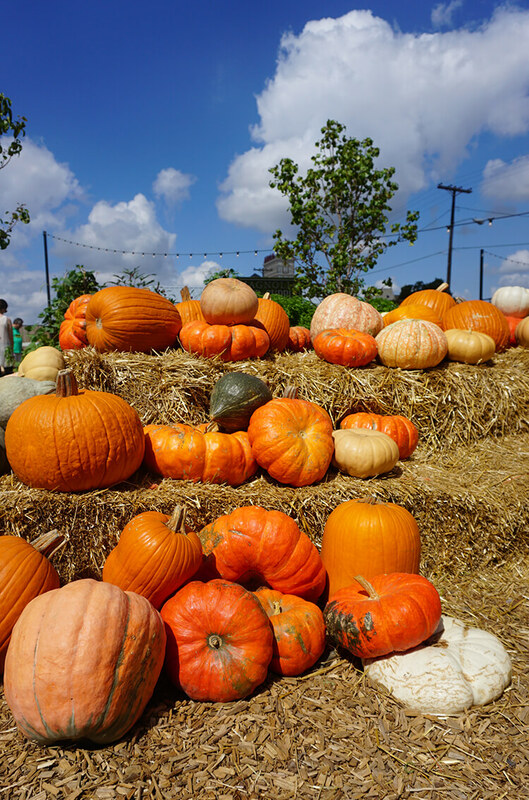 Along the way, my friends and I decided to stop in Waco at Magnolia Market and The Silos, and we were pleasantly surprised to discover that it was the weekend of their annual Silobration event! 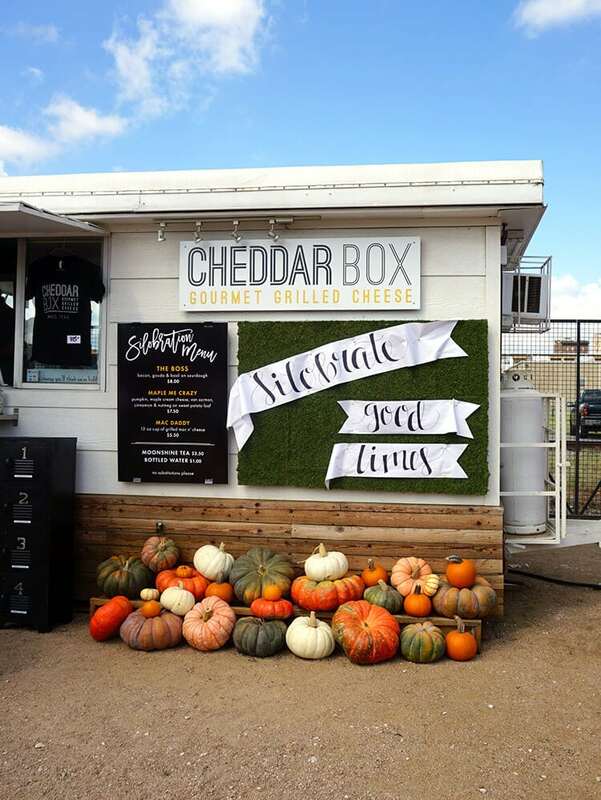 The event features three days of live music, vendors, food trucks, and lots more, and it was a ton of fun! 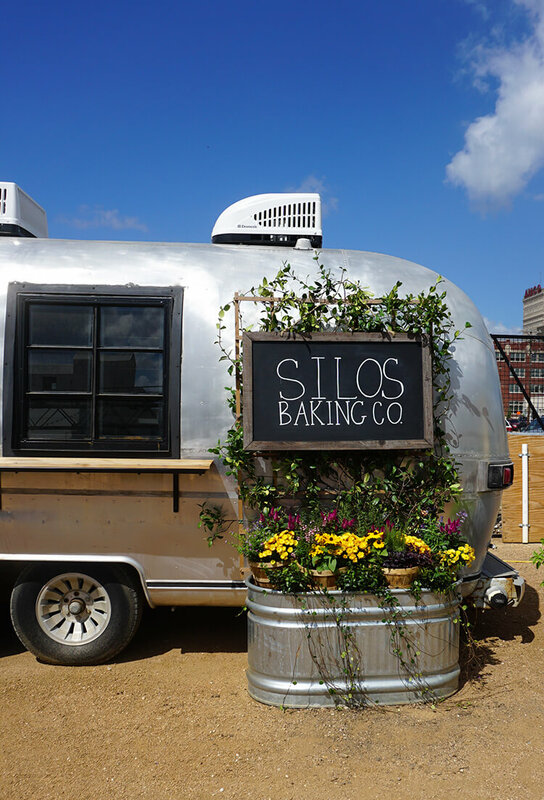 My friends, Britni and Kimber, and I all love Fixer Upper, so we were excited to stop by The Silos to see if it lived up to the hype. 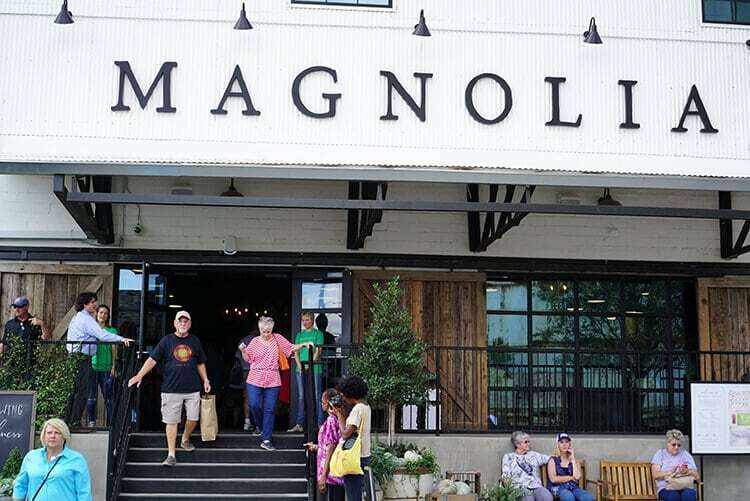 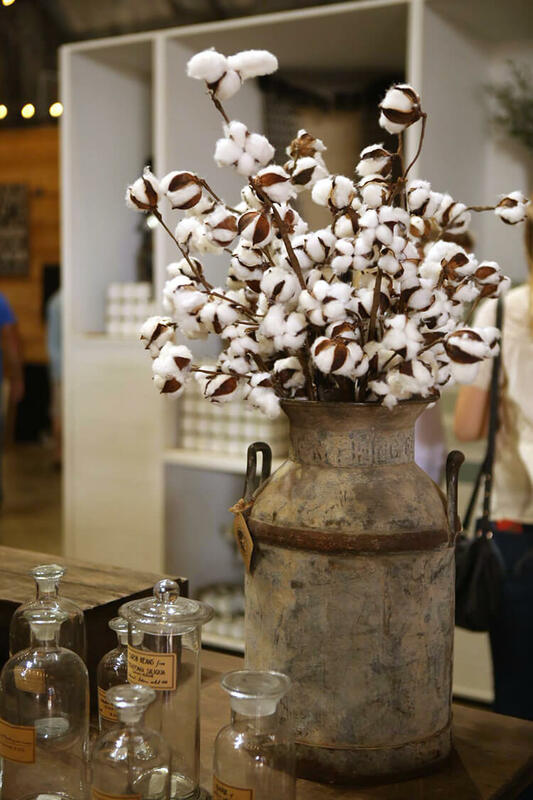 We started by visiting the Magnolia Market, and it was PACKED with people that were there for the Silobration event. 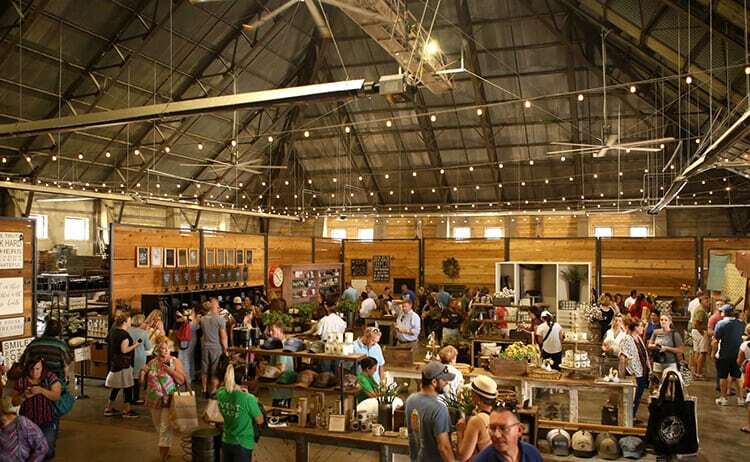 The store was filled with all kinds of amazing stuff, but the line to check out wrapped around the entire store, so I skipped the souvenirs this time. 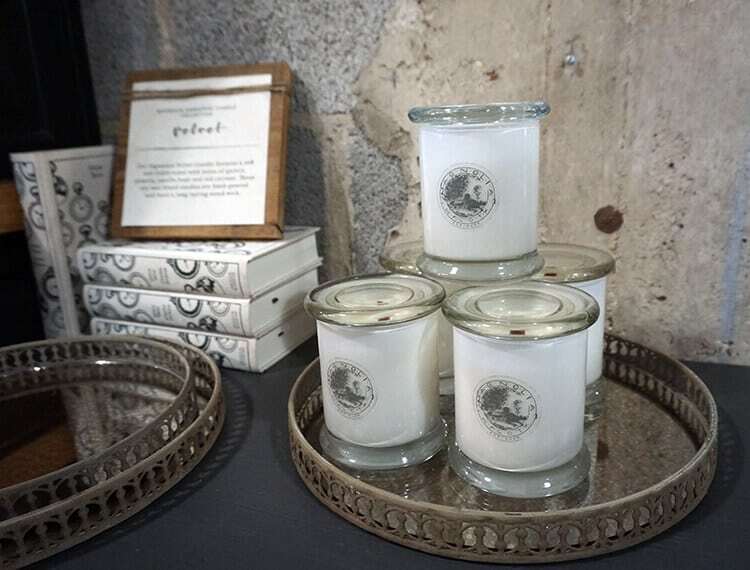 I’ll probably just order from their online shop now that I’m back home! 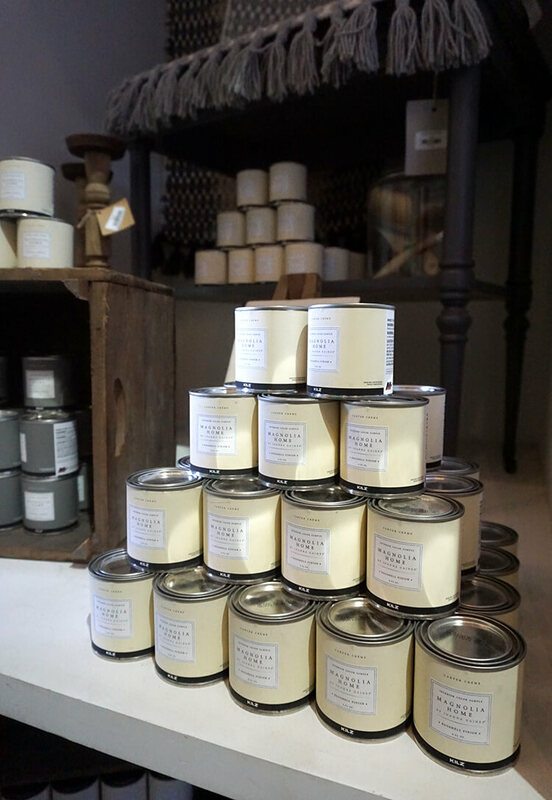 Joanna’s new Magnolia Home paint colors are all kinds of awesome! 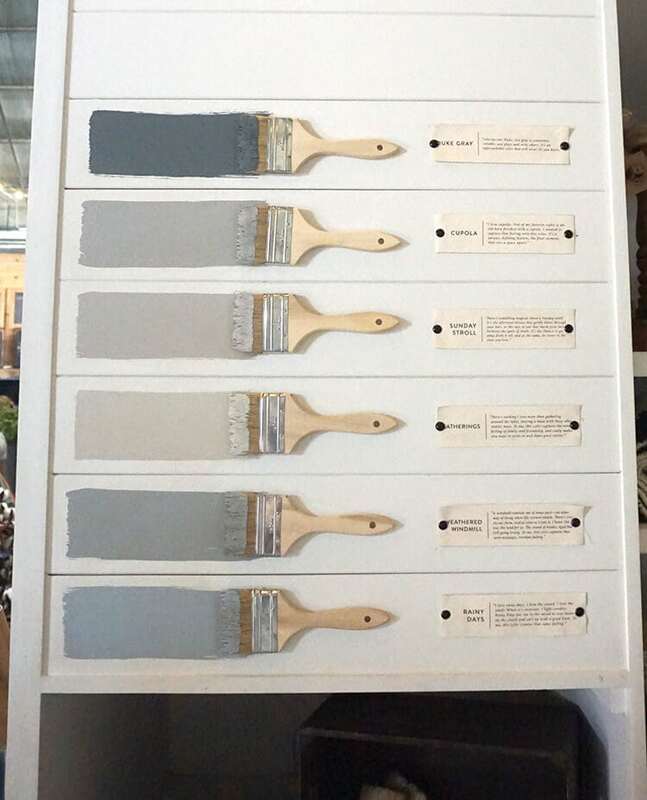 Grey is my favorite color for walls, so I was super impressed at the wide variety of new trendy grey paint colors that they have available. 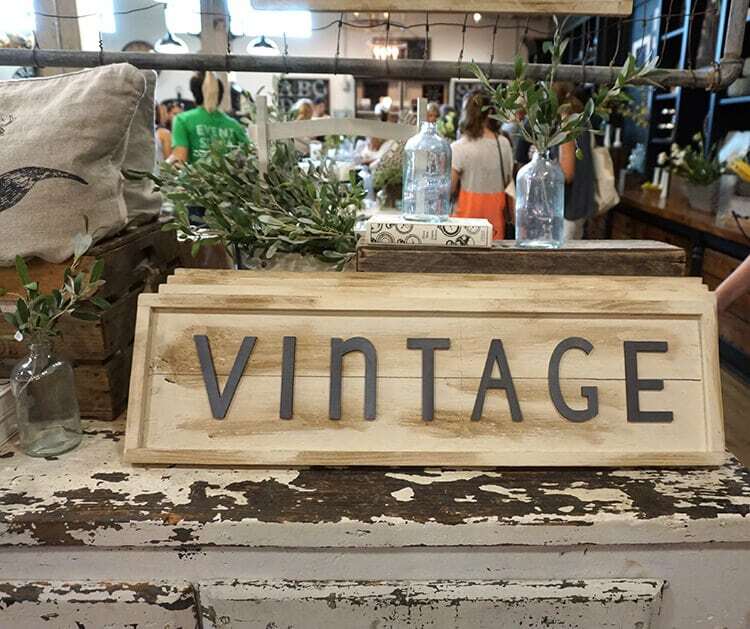 If I would have had room in my suitcase, I would have waited hours in the ginormous checkout line to bring home two of these “vintage” signs – one for me, and one for my mom (who runs a shop called Vintage Chalk Painted Furniture!). 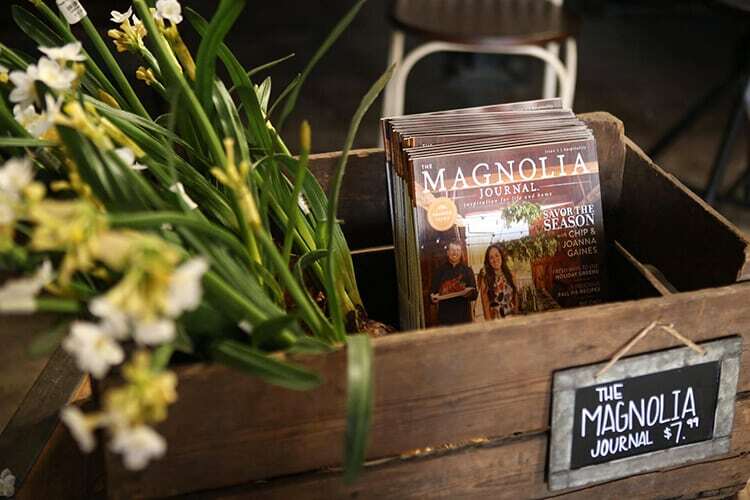 Unfortunately, Magnolia’s online shop only sells the XL size, but in-store they had several different size options available. 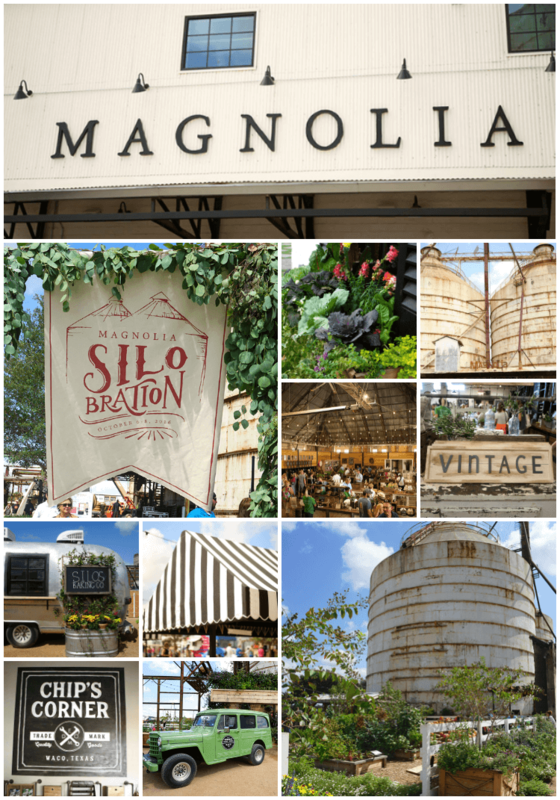 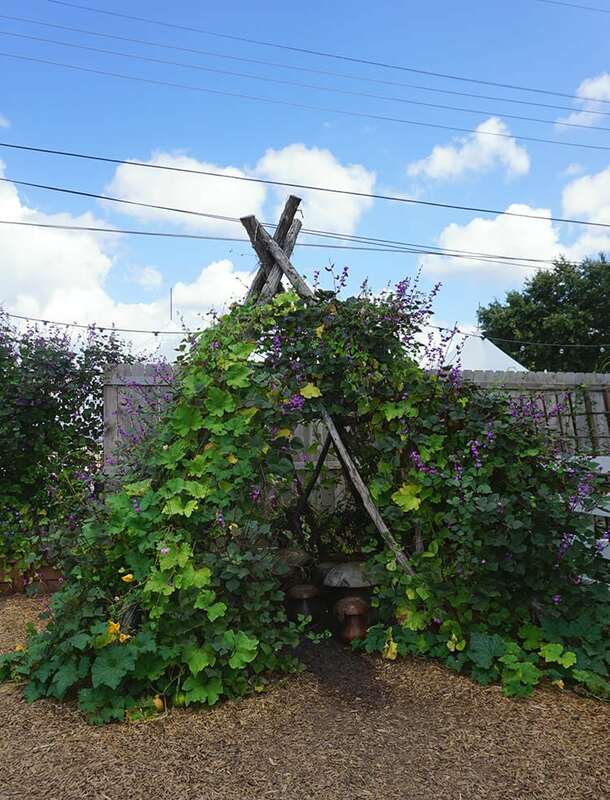 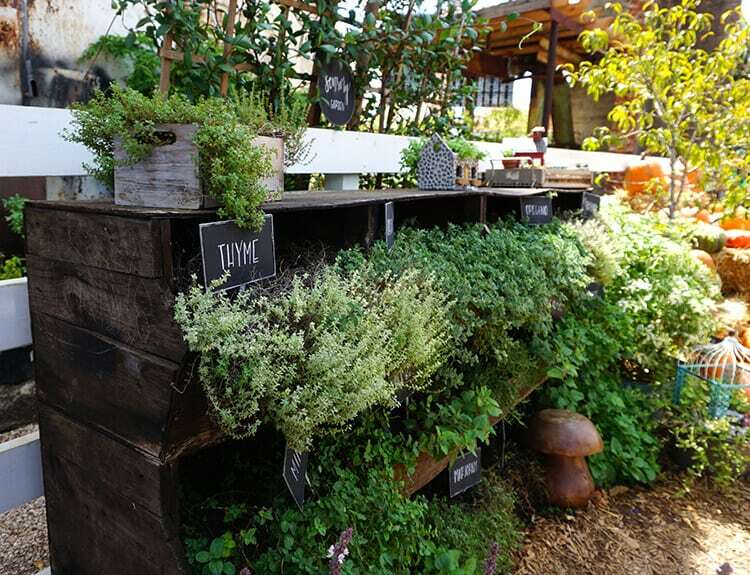 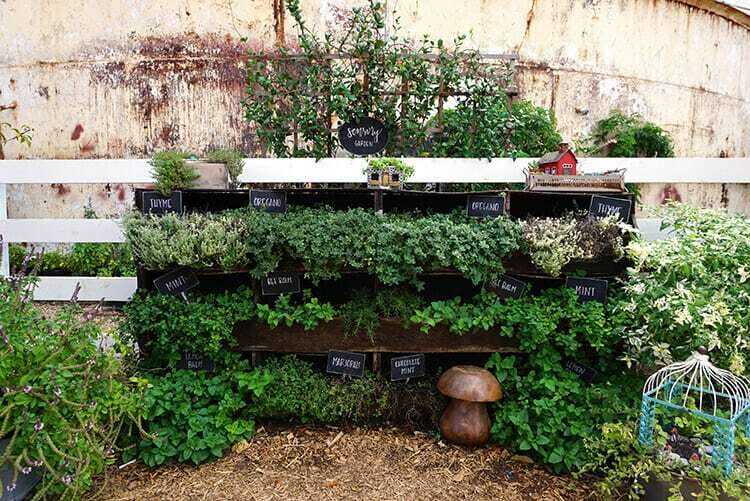 Outside of the Magnolia Market, the grounds at The Silos are filled with all kinds of gorgeous vignettes and garden displays. 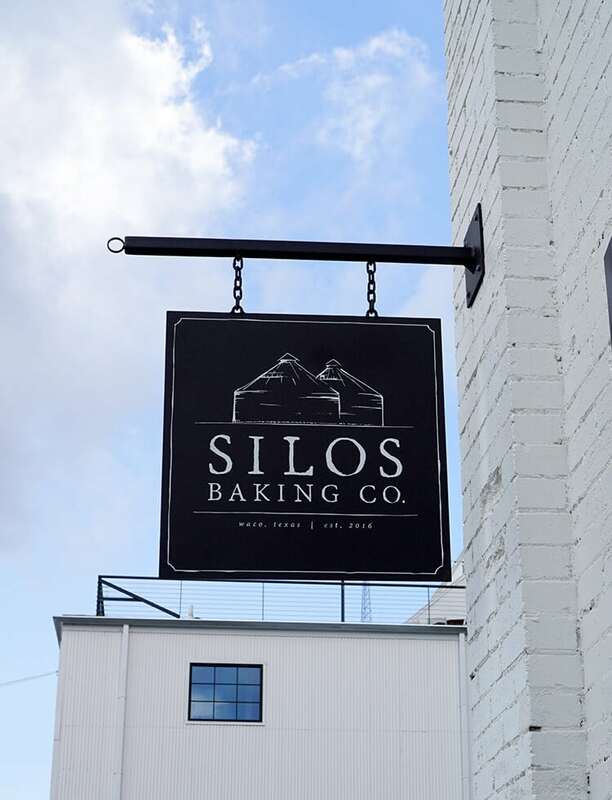 The Silos is also home to the Silos Baking Co., Joanna’s new bakery venture. 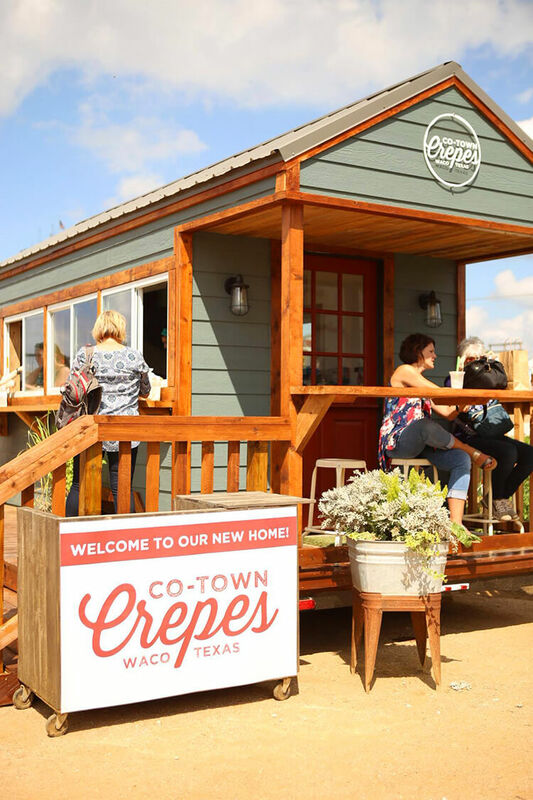 I’ve heard that they have the most delicious pancakes around, but again, the line was super long, and since we were just stopping by on our road trip, we didn’t have an hour to wait to try it out. 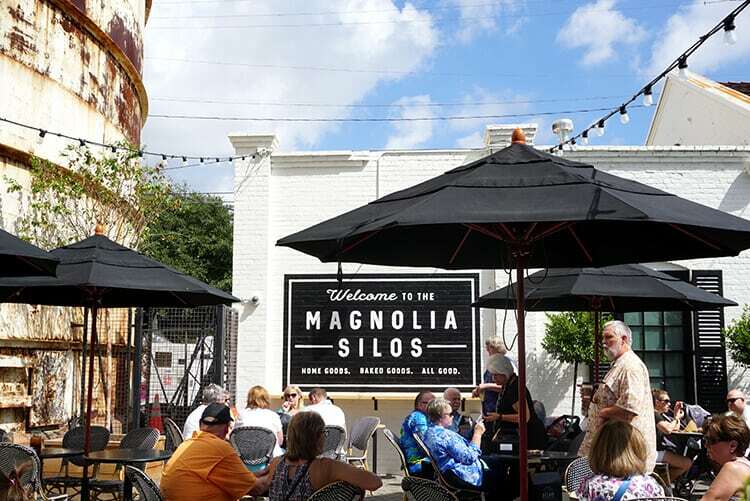 I would love to come back and visit again to get the full Magnolia experience on a day when there are normal-sized crowds instead of heavy event traffic! 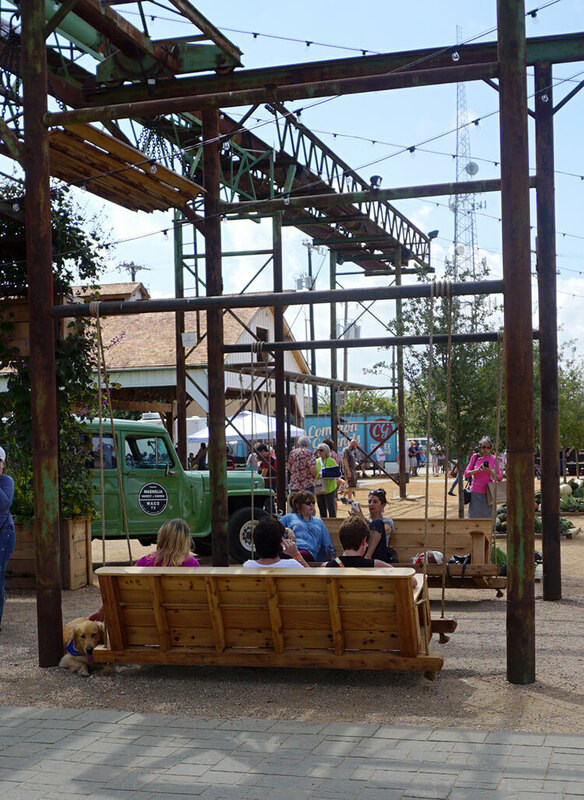 The “yard” in front of the silos is a huge artificial turf that was loaded with beanbag chairs, hula hoops, footballs, and frisbees. 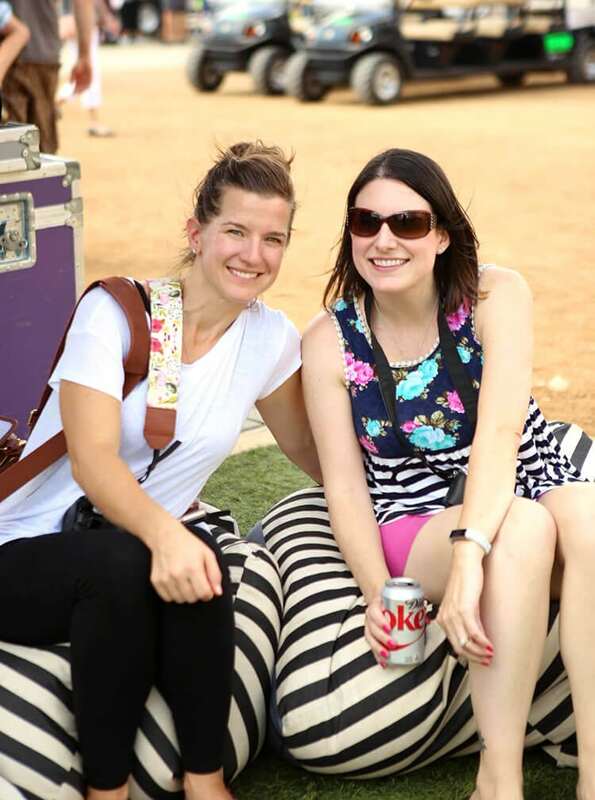 It was so much fun to see lots of families partaking in the activities and enjoying themselves on that giant lawn! 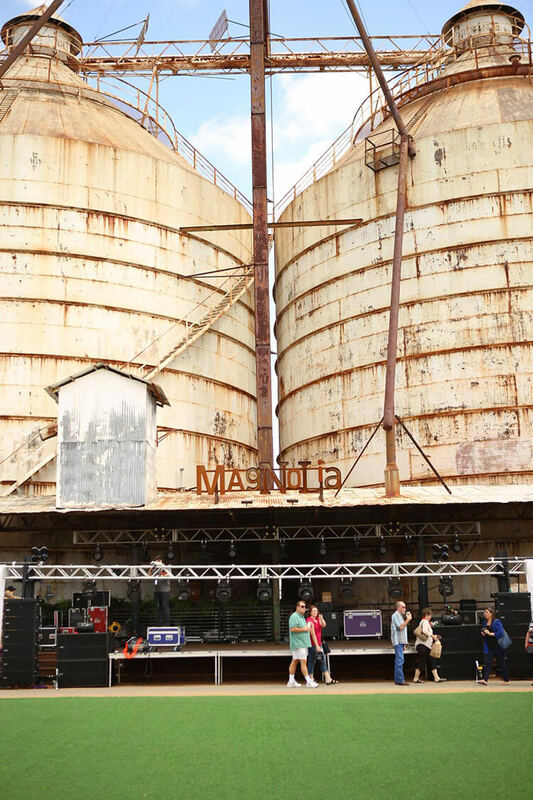 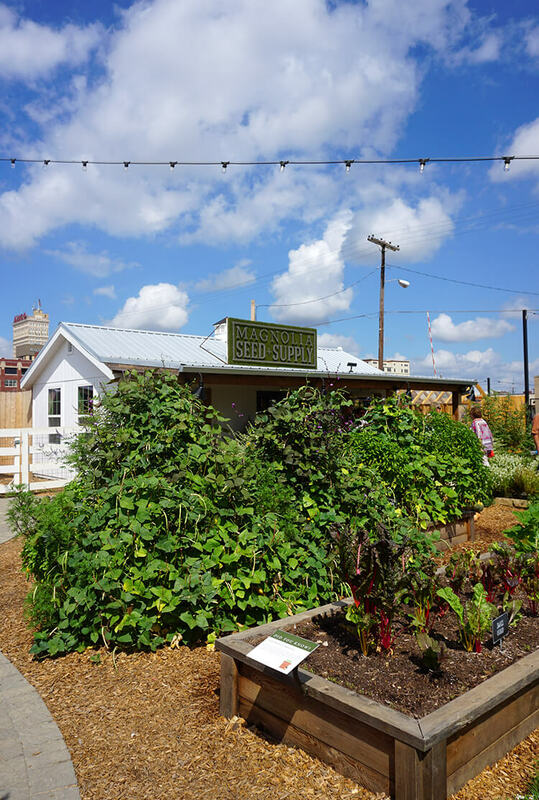 Magnolia Seed + Supply is home to The Silos’ large garden and was my most favorite space there. 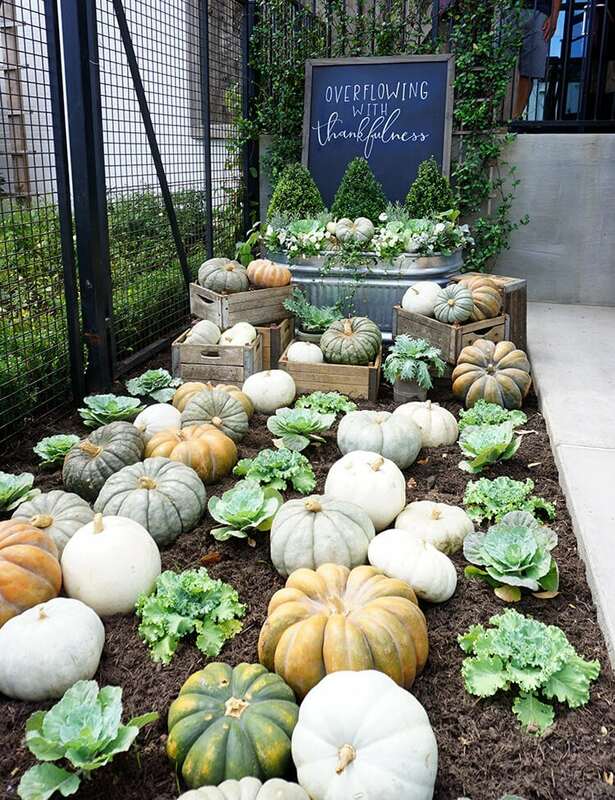 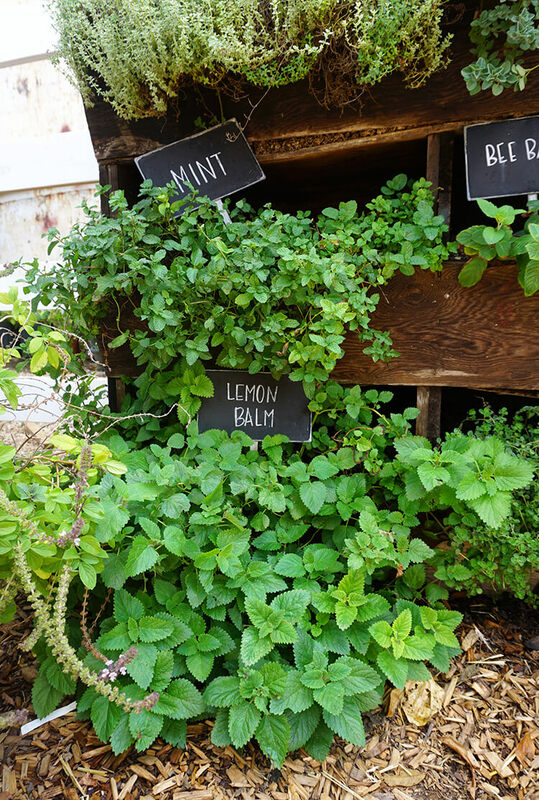 I always feel at home in the garden, and this garden is phenomenal! 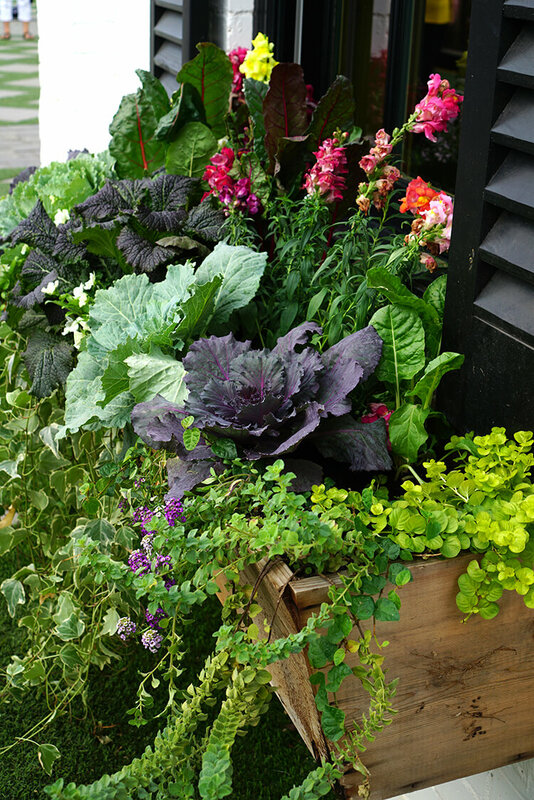 I never knew how much I loved ornamental cabbages until I wandered the grounds at The Silos! 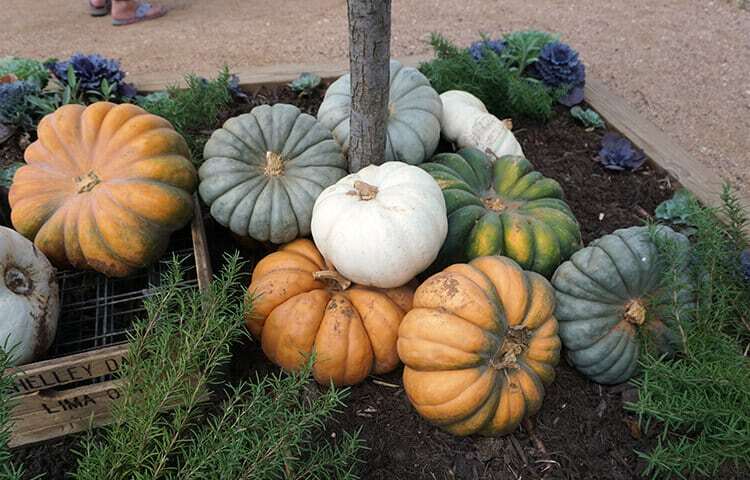 They’re gorgeous! 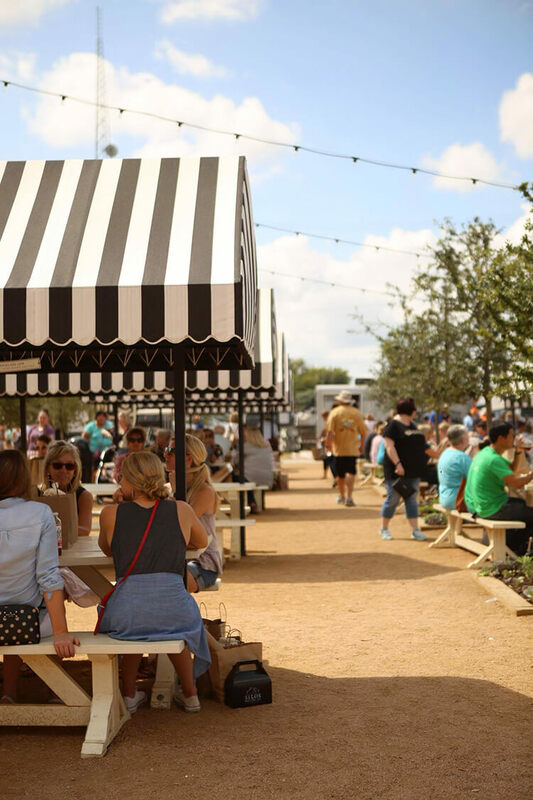 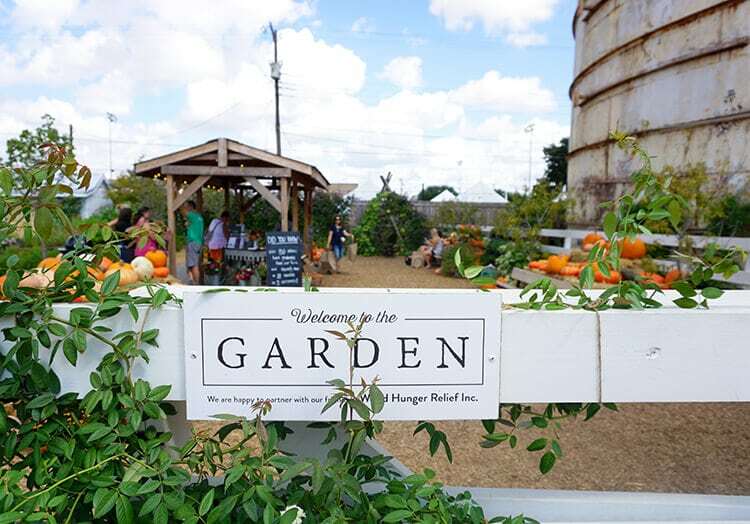 Outside of the gardens, people gathered under striped canopy awnings and sat on oversized patio swings to enjoy live music and tasty treats from a variety of food trucks. 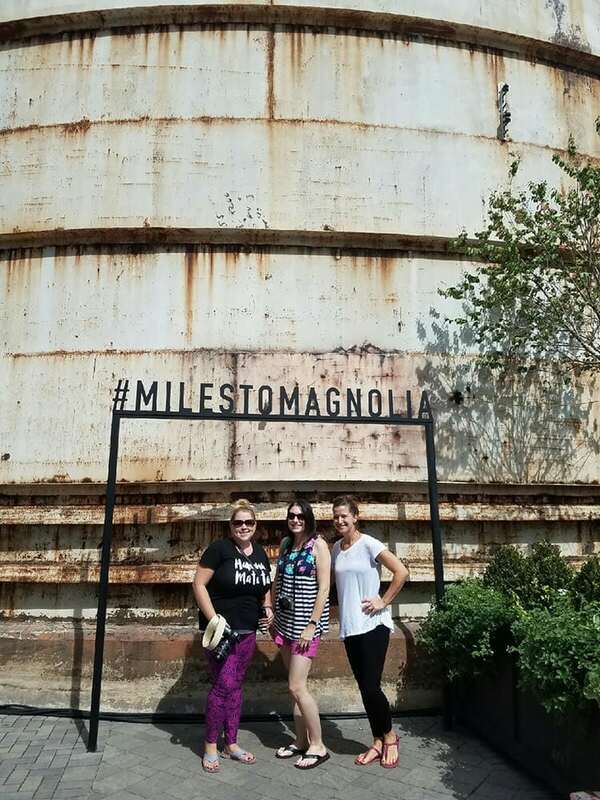 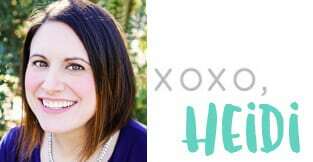 We had a blast visiting The Silos and Magnolia Market, but I’m not going to lie, the Texas heat was scorching that day, and we were literally a hot mess by the time we got back on the road for the rest of our road trip! 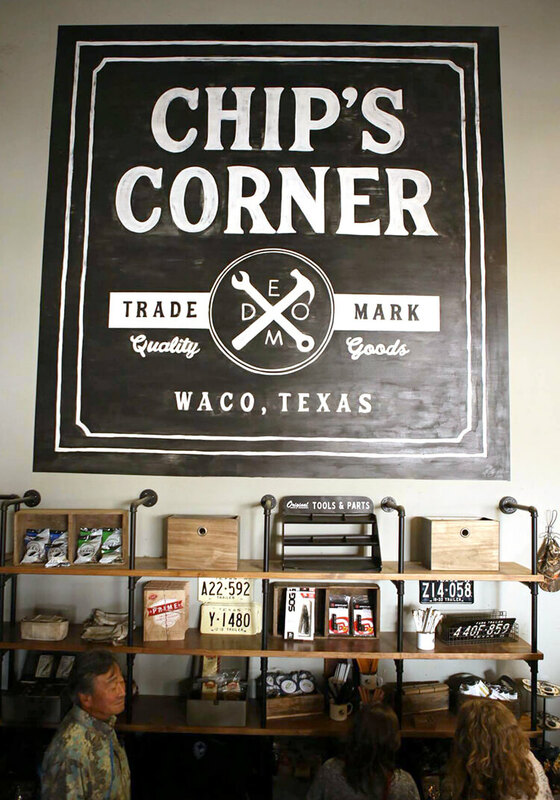 I highly recommend stopping by for a visit (it really did live up to the hype! 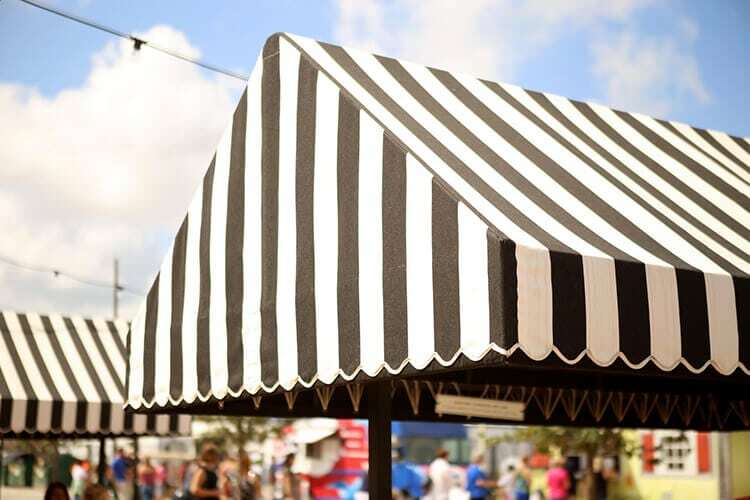 ), but unless you love crowds, I would suggest visiting on a non-event day. 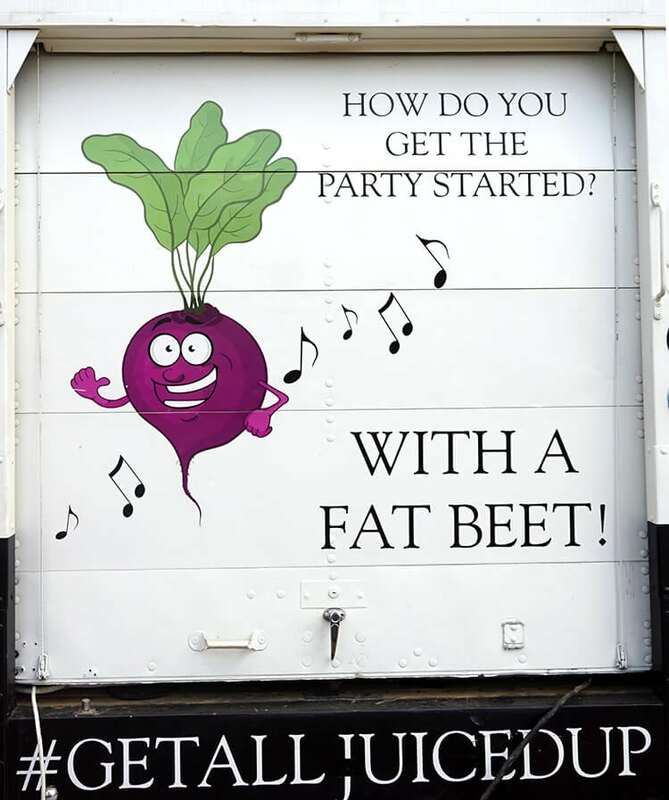 We were there during the afternoon, so we missed a few of the special evening attractions, but the night culminated with a JohnySwim concert and an appearance by Chip and Joanna themselves – too fun! 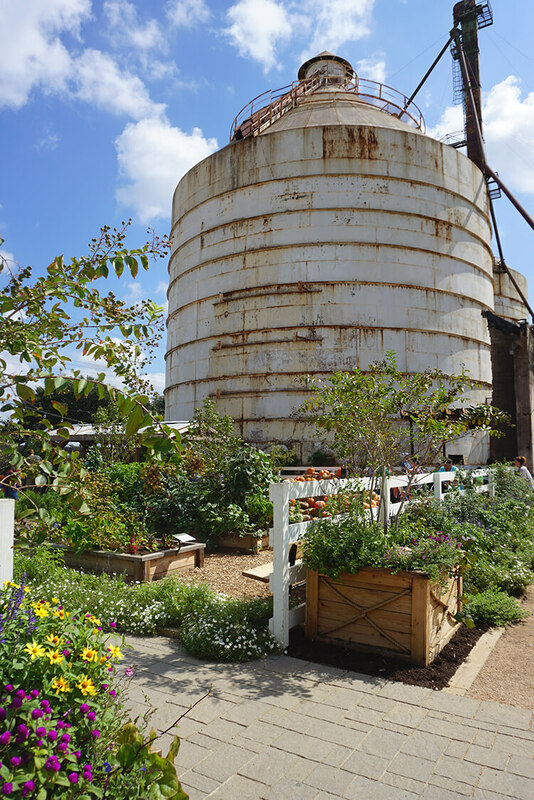 i see stairs,but no entrance for handicapped.are the silos not ADA compliant?